I have to say that besides the TRUE Meaning of Christmas, my favorite thing about Christmas is the smell of evergreen! I hope I will NEVER have a fake Christmas tree for this reason because I look forward to that smell all year round!!! This year, I got to start smelling evergreens early (YES!!!!) when I received the beautiful Christmas Forest wreath! I have never had a real evergreen wreath before and I have to say it was breathtaking and the highlight of my month! I am so proud to display it on my door and I absolutely LOVE the cute lights and bells! Christmas Forest is nestled in the foothills of the Cascade Mountains and they are busy handcrafting beautiful noble fir wreaths and shipping them worldwide. From their very first handmade Christmas wreath sold back in 1976 at Pike Place Farmer’s Market until now, they have made it their mission to bring the very essence of Christmas into every wreath that they create. Alive with the fresh evergreen scent of the Cascade Mountains, each of their hand crafted wreaths is a one-of-a-kind creation, and a unique representation of who they are. I highly recommend the Jingle Bell Christmas Wreath that I received! Handcrafted in the foothills of the Cascade Mountains, their exquisite Christmas wreaths and Holiday swags are perfect as personal or corporate Christmas gifts. Committed to protecting the environment, they harvest fresh aromatic Juniper Berries, Yellow Incense Buds, Noble Fir and Princess Pine, all gathered in such a way as to not harm the rain-forest ecosystem. The Christmas wreaths arrive sealed to preserve the "same day freshness" for which they are so well known. The smell was amazing and I wish I could bottle it up and spray it every in my house all year round! And the wreath itself was breathtaking and beautiful and they did such a great job of putting it together!! This year, why not do more than just give a gift? Give the gift of the season itself with an exquisite handcrafted Christmas wreath from Christmas Forest. I HIGHLY recommend!!! 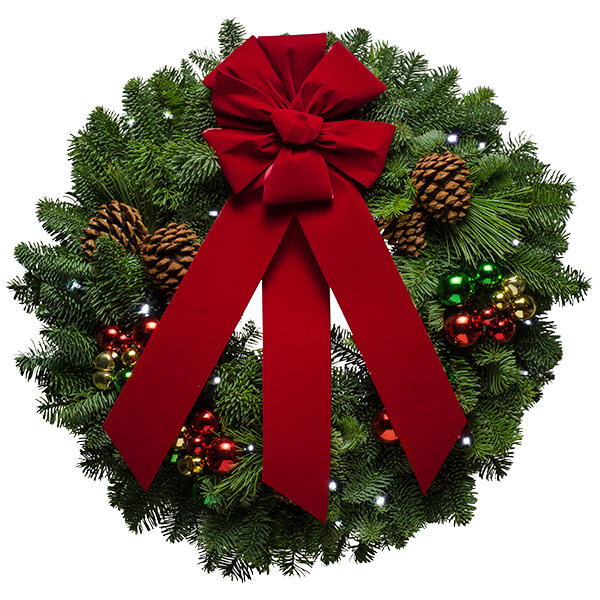 Buy It: You can purchase all Christmas Forest Christmas Wreaths from the Christmas Forest website.